"Justice is more just with a lawyer you can trust"
Today’s legal environment is competitive and complicated, so it is important to have a team of professional attorneys by your side to guide you and help you through every step of the process. With 30 years of experience, the attorneys at the Law Firm of Cushnie & McMahon represent victims of accidents in Port St. Lucie, the whole Treasure Coast and throughout Florida. Our law practice specializes in a number of areas including: personal injury cases, wrongful death, family law, medical malpractice, accident cases, and more. These can be the most complex cases you or one of your loved ones will go through. Colin C. Cushnie and Paul P. McMahon are ready to guide you through your case. Together they are dedicated to providing you with the best legal strategies and going the extra mile to help you resolve your case. We have years of courtroom experience and a proven track record of positive case results for our clients. Our attorneys offer each client personal attention and are committed to providing you with quality service. We recognize each client has individual needs pertaining to their life situation and case. Together with their staff, our lawyers work to address your specific needs and provide you with the personal attention you deserve. Mr. Cushnie has provided a range of legal services including personal injury law, wrongful death, civil litigation and family law since 1989. He was born in Kingston, Jamaica and moved with his family to Miami where he completed High School. He is a graduate of Florida International University with a Double Major in Marketing and International Business. He earned his Juris Doctorate from Nova Southeastern University and became a member of the Florida Bar. 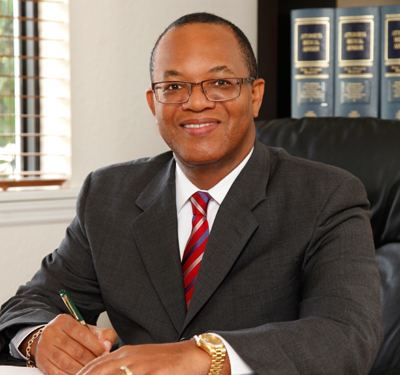 In addition, he is a member of the Port St. Lucie Bar Association and Caribbean Bar Association. Florida Rural Legal Services has awarded Mr. Cushnie the Pro Bono Award four times. This organization provides civil legal advice and representation for Low-income people and communities. Florida Rural Legal Services, Inc.-Pro Bono Awardee. Florida Rural Legal Services is a non-profit organization which provides civil legal advice and representation for low-income people and communities. If you have been injured by someone else’s negligence or have a family law matter, Mr. Cushnie is ready to provide you with the representation you need and to fight for the money compensation you deserve. Colin understands how hard and stressful a legal case can be and that is why he is ready to handle your entire case from start to finish. Mr. McMahon has over 25 years of experience as a trial lawyer on the Treasure Coast. 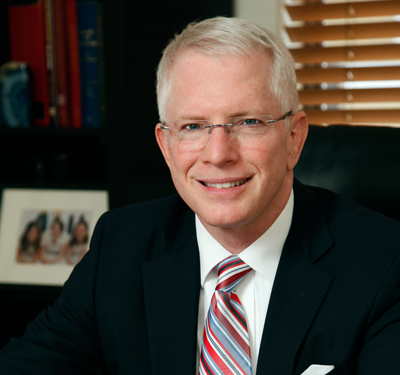 He has been identified by legal organizations across the country as a top personal injury litigator. Mr. McMahon was formerly a partner in the nationally recognized Law Firm of Gary, Williams, Finney, Lewis, Watson & Sperando, P.L. before he and Mr. Cushnie joined forces creating Cushnie & McMahon, a smaller firm dedicated to personal service and attention. 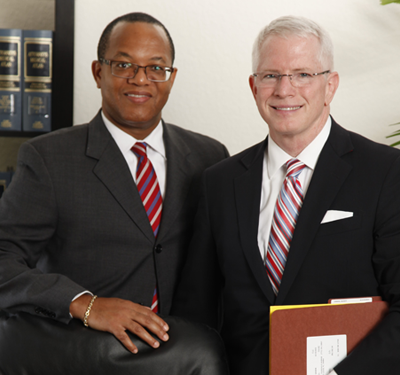 He is an experienced trial lawyer who has successfully handled cases throughout the state of Florida, and nationally. The Million Dollar Advocates Forum –Awarded to Mr. McMahon for million and multi-million-dollar jury verdicts, settlements and arbitration awards in the areas of personal injury, medical malpractice, civil rights violations and business disputes. Less than 1% of U.S. lawyers are members. American Board of Trial Advocates (ABOTA) Nominated and elected to membership June 20, 2012. ABOTA membership evidences high personal character, honorable reputation and proficiency as a trial lawyer. Appointed by the Supreme Court of Florida to the 19th Judicial Circuit Unlicensed Practice of Law Committee in 1994, appointed Chairman of the committee in 1996. Board of Directors for the Friends of 440 Scholarship Fund, Inc. Moot Court Team Award, 2nd Place Brief, 1986, Albert R. Mugel National Moot Court Tax Competition. Florida Rural Legal Services, Inc. – Pro Bono Award, 1996. A non-profit organization which provides civil legal advice and representation for low-income people and communities. Florida Rural Legal Services, Inc.- Pro Bono Award, 1996 and 2002. A non-profit organization which provides civil legal advice and representation for low income and communities. Mr. McMahon is dedicated to helping all of his clients win their legal battles. If you are in need of help or have been hurt in an accident, give Paul a call today. Let his experience and knowledge guide you. At The Law Firm of Cushnie & McMahon, our entire team is dedicated to helping you receive the justice and money compensation you deserve. Whether you are recovering from a serious accident or are going through a divorce, our attorneys and support team provide compassionate, committed services. For more information or to schedule a free consultation for your personal injury case, contact our law firm in Port St. Lucie, FL today. Personal Injury consults are always FREE and we feature a “No Recovery – No Fee or Costs” policy. Appointment times are flexible and if you can’t make it to the office, we will come to you. We are determined to help you receive the results you deserve.